A new poll shows well-funded Clark County Commission Chair Steve Sisolak has a comfortable lead in Nevada’s contentious Democratic gubernatorial primary, pulling ahead of his commission colleague Chris Giunchigliani 44 percent to 16 percent, with 40 percent of likely voters saying they are undecided. On the Republican side, Attorney General Adam Laxalt has an even more commanding lead in the primary. He leads his closest opponent by 51 percentage points, according to the survey from The Mellman Group that took Nevadans’ temperature in the high-stakes race to replace termed-out Republican Gov. Brian Sandoval. Still, 38 percent of Republican primary voters are undecided. Democrats are still favored for the governor’s seat in a matchup between frontrunners Sisolak and Laxalt. They’re also in the lead in races for attorney general, secretary of state and lieutenant governor, although many voters remain undecided. 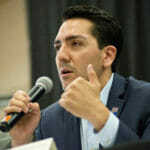 The results unveiled Tuesday come from a statewide survey that was commissioned by The Nevada Independent and conducted among 400 Republican voters and 400 Democratic voters from April 12 to 19 for the primary samples, and 600 likely voters for the general election numbers. Poll results show there’s little contest in the Republican primary — 55 percent of Republican respondents would vote for Laxalt if the election were held now. 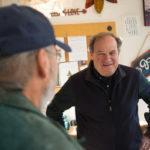 By contrast, 4 percent of respondents said they would choose Treasurer Dan Schwartz as governor, and 2 percent said they would vote for bike shop owner and political newcomer Jared Fisher. Aside from Laxalt, others in the race are largely unknown. Eighty-one percent of likely Republican primary voters said they either hadn’t heard about Schwartz or didn’t know enough about him, even though he holds a statewide office and ran for Congress before that. That figure was even higher — 88 percent — for Fisher. By comparison, 30 percent said they hadn’t heard of Laxalt or didn’t know much about him. 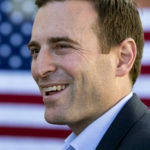 Laxalt has far outraised his opponents, cornering donations from the Adelson family that owns the Las Vegas Sands, Station Casinos and their owners, the Fertitta family. He has more of a structural advantage, garnering endorsements from sheriffs across the state, opening campaign offices and mobilizing large teams of volunteers. He also counts on support from outside groups such as Freedom Partners, part of a network run by conservative billionaires the Koch Brothers, which has paid for $1 million in ads to introduce Laxalt to Nevada voters. Schwartz, on the other hand, vowed not to take corporate donations and counts mostly on loans from himself, with contributions from family and friends to supplement. Fisher, a political newcomer who is running a grassroots campaign for “A Healthy Nevada,” is likewise almost entirely self-funded. Forty-four percent of Democrats polled this month said that if the election were held today, they would choose Sisolak, who describes himself as a moderate. His more liberal opponent took 16 percent in the survey, although a full 40 percent said they hadn’t decided. 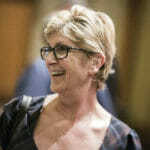 Name recognition remains a challenge for Giunchigliani, a special education teacher and former longtime state lawmaker who only started running TV ads this week. Fifty-five percent of Democratic respondents said they either had never heard of her or didn’t know enough about her to have an opinion. As for Sisolak, a fundraising titan who has massive banners alongside major Las Vegas highways and has been running commercials for weeks, even buying coveted airtime during Golden Knights hockey playoff games — 32 percent said they hadn’t heard of him or didn’t know enough about him to make an opinion. Sisolak also appears to be the candidate more likely to beat Laxalt in the general election. In a theoretical matchup between the two, Sisolak took 42.7 percent to Laxalt’s 36.9 percent. Some 20.4 percent of voters said they were undecided. In a theoretical matchup between Laxalt and Giunchigliani, the conservative attorney general garnered 39.9 percent of the vote compared with commissioner’s 37.9, with 22.2 percent undecided. 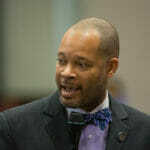 Democratic Senate Majority Leader Aaron Ford. Photo by David Calvert. Democrats hold an advantage in the race to replace Attorney General Adam Laxalt. Democratic state Senate Majority Leader Aaron Ford has 36 percent of the vote in a theoretical matchup against former assemblyman and Laxalt deputy Wes Duncan. Duncan has 27 percent of the vote in the theoretical matchup, while 37 percent of voters are undecided. Duncan has outraised his opponents in the race, including Ford, but also must clear a primary that includes Republican attorney Craig Mueller. Attorney Wes Duncan. Photo by Jeff Scheid. Both men are virtual unknowns to the pool of likely voters, though. Ninety-one percent of respondents said they hadn’t heard of or didn’t know much about Duncan, while 85 percent said that about Ford. In the race for lieutenant governor, Democrat Kate Marshall is ahead with 39.7 percent of voters supporting her in a general election matchup against Republican state Sen. Michael Roberson. Marshall served two terms as state treasurer and also mounted an unsuccessful bid to represent Nevada’s 2nd Congressional District in a 2011 special election. State Sen. Michael Roberson. Photo by David Calvert. 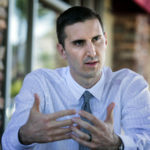 Roberson, who has held top-ranking posts in the state Senate but lost a 2016 Republican congressional primary to Danny Tarkanian, garnered 27.5 percent in the poll. 32.9 percent of respondents were undecided. Eighty-two percent of respondents said they either had never heard of or didn’t know much about Roberson or Marshall. Roberson must first clear a primary that includes former Assemblyman Brett Jones, an outspoken foe of taxes including the business levy Roberson helped usher through the Legislature in 2015. 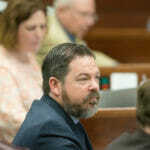 Nevada Assemblyman Nelson Araujo. Photo by Daniel Clark. Democratic Assemblyman Nelson Araujo had a slight edge over Republican incumbent Barbara Cegavske when voters were asked who they’d choose in that matchup for secretary of state. Almost 36 percent of respondents said they’d vote for Araujo, while 31.1 percent said they’d vote for Cegavske and 33.1 percent said they were undecided. Still, most people know very little about either. Eighty-eight percent of the 600 voters polled hadn’t heard of Araujo or didn’t know much about him, while 79 percent said that about Cegavske. 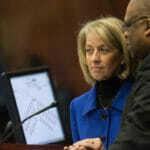 Secretary of State Barbara Cegavske. Cegavske had a long career in the state Legislature before nabbing the post of top elections officer in 2014. Araujo, who at 30 has served two terms in the Assembly, is highlighting the fact that he could be the first Latino and the first openly gay politician to hold statewide office. Disclosure: Station Casinos, Steve Sisolak and Chris Giunchigliani have donated to The Nevada Independent. You can see a full list of donors here. 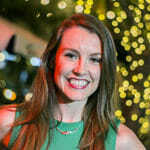 The Mellman Group is an opinion research firm that has done polling for former Sen. Harry Reid, Rep. Steny Hoyer and other political and corporate clients, including many in Nevada. FiveThirtyEight gives the group a “B” grade in their ranking of pollsters and says their polls historically tilt slightly Democratic. Editor Jon Ralston explains why The Nevada Independent hired Mellman in a blog post here. For the poll’s full crosstabs and Ralston’s blog on the latest Independent Poll click here.